Since its inception, “education reform” has been almost entirely a product, not of public debates, but of public relations and perception management campaigns. Fueled by billionaires and corporations, propagated by a compliant corporate media often owned by the same billionaires, the premises of “education reform” have entered into the skulls of millions of Americans who are barely aware of how they even got there. This, of course, is precisely how such premises are intended to be received. The process is akin to osmosis. Something or someone is targeted. Stories that make the target look bad are planted. Stories that allow the target to look good are wholly ignored. Exceptions are painted as the rule. Lies and exaggerations are repeated in different forms endlessly over. The animation of envy and fear is constantly attempted. In these campaigns, the lines between public relations – a dubious enough field in itself — and perception management, it’s more sinister and militaristic cousin, often gets blurred. In the area of education, America has been treated to one long, well oiled, professionally enacted, deliberately induced poisoning of the well, along such lines as above. One goal is to deflect the attention of the average citizen away from forces and institutions that are systemically stripping us of our rights and plundering the commonwealth, and — think Wall Street and K Street – blaming the incontrovertible degeneration of the United States into a oligarchic farce on something or someone other than the forces or institutions that are actually causing it. someone has been a public school teacher. America, according to the “education reformers” and their allies or employees in the media and all levels of government, would once again blossom into a Ronald Reaganesque Eden if only we privatized the public school system, rid ourselves of the pestilence of unions and fired hundreds of thousands of teachers, many of them outright incompetents, deviants or unrepentant radicals, as reported in the newspapers and portrayed in major motion pictures. This, or some version of this, has been poisoning Americans via the airwaves, TV screens, newspapers and movies for years now. In terms of demonizing a profession, the ferocity of the sustained campaign has no precedent in American history. What’s important in such campaigns, of course, is not whether a story is true or false or even relevant. All that is important is that emotions are stirred and attention is deflected from real issues and focused instead on the targeted enemy. Think for one moment of the horrific fact that some 85% of Americans allowed themselves to be tricked into believing Saddam Hussein was responsible for 9/11 and that the invasion and consequent destruction of Iraq and murder of hundreds of thousands of innocent Iraqis was necessary for our national security. Such was a diabolical accomplishment, that much the more in a nation that considers itself a bastion of freedom. Such is also a triumph of perception management. In that light, consider today’s New York Post. 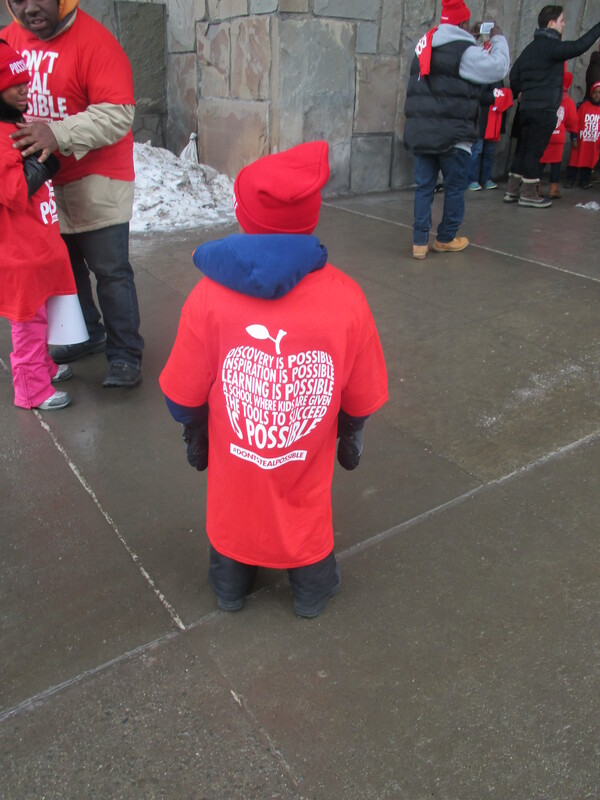 Yesterday, despite the unseasonably chilly weather, thousands and thousands of parents, teachers, students, members of the clergy, union leaders, and elected officials from all over New York state, gathered in front of Governor Andrew Cuomo’s 41st St. office to denounce in no uncertain terms the entirety of Cuomo’s reckless assault upon the public school system, public school teachers, and public life itself. According to the New York Post, these people are not news worthy. As far as I can see, the New York Post, even as it worshipfully reports on the billionaire based charter campaign, devoted not a single word to this event, this despite the fact that Cuomo’s proposals will, if enacted, adversely affect the lives of millions of New Yorkers. Nor is there any indication whatsoever of Fliegelman’s talent or lack of talent as a teacher. Such discussions would run the risk of distracting the reader from the article’s main ( and only) point: Ronald Fliegelman was a radical who worked as a teacher. What is important in perception management is the planting of particular seeds in a person’s head, the more insidiously the better. The seed here is that New York City teachers, and by extension the New York City Public school system, are not to be trusted. But somehow this guy is. Rest assured, if Ronald Fliegelman had gone on to be a dentist or a postman or a plumber, Post readers would not have been treated to this article. To be sure, whatever idiotically violent acts or plans this man was involved in some 40 years ago are completely secondary to the fact that he retired as a schoolteacher, for it is the image of a school teacher, and not a dentist, or a postman, or a plumber that has to be relentlessly tainted if the “education reform” campaign is to succeed. A massive amount of time and energy and money has been dedicated to such success. Consider how The Post insinuates that the fact that Fliegelman appears to be enjoying his retirement is somehow shady if not outright criminal. 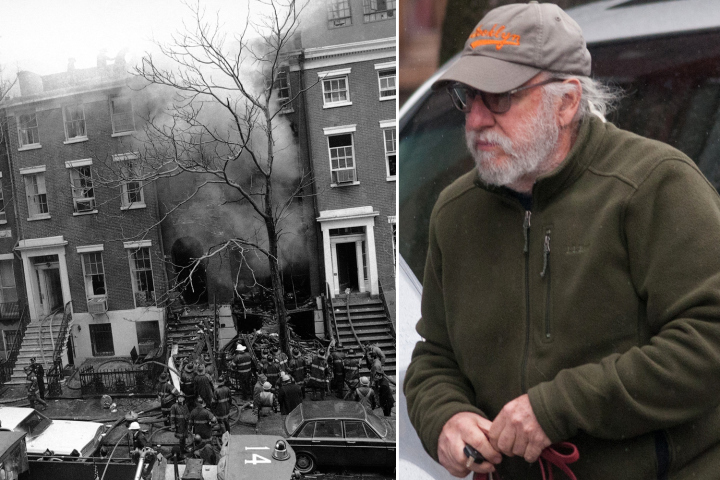 The “exclusive” was ostensibly based on a finding in a new book entitled Days of Rage. But rest assured that this completely irrelevant non-news has been saved for precisely just this kind of moment. 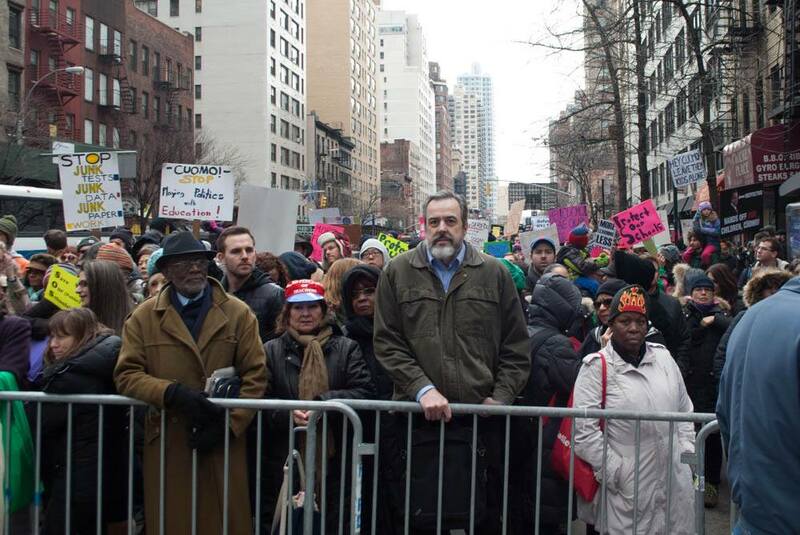 So, readers of the New York Post would know nothing of the thousands who gathered to denounce the radical right wing agenda of Governor Andrew Cuomo yesterday, but would have learned a great deal about the life of a retired teacher whose politics would be anathema to just about every one of them. This is one of the ways perception management works. It would be funny if it were not so dangerous and effective, but it is. Addendum: Doing my bit at the rally. Of the many disgusting tactics of the billionaire and hedge fund messiahs who are almost entirely responsible for the catastrophe collectively known as “education reform,” none to my mind is more disgusting than their usurpation of the language and iconography of the Civil Rights Movement,perhaps the most spiritually charged and heroic undertaking in American history. This usurpation is never more evident than in their slick and ceaseless propaganda for charter schools, the publically funded privately managed institutions so beloved of hedge funders and so destructive of community and the public school system itself. 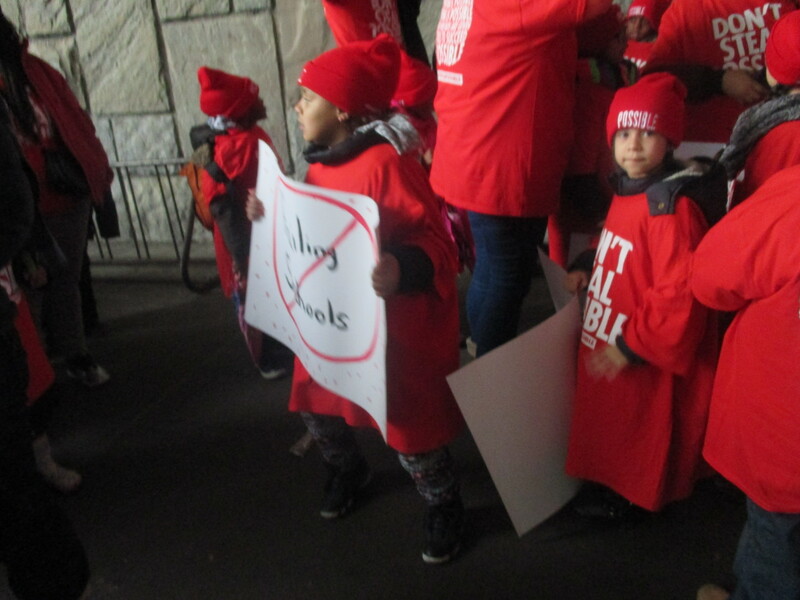 Less than two weeks before Governor Andrew Cuomo threaten to lift the cap on such institutions, comes this report by Advocates for Children that speaks truth to money and should be read by every citizen in the state of New York and beyond. Herein the lie that is called “education reform” in essence. 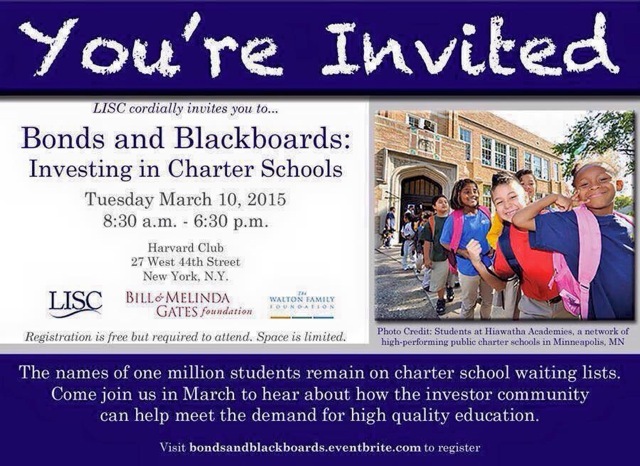 Herein the unholy alliance between absurdly rich businessmen, Wall Street bond traders, Ivy League think tankers and non-profit “community organizations” that have busied themselves undermining public education. Herein The Gates Foundation and The Walton Family Foundation, there to purchase anyone and anything that stands in the way of their lust to remake schools in their grotesque, one-dimensional image. Herein Harvard, there to give the insidious takeover of public education and transfer of public money into private hands the veneer of academic respectability of the highest order. Herein Local Initiatives Support Corporation (LISC), there to create the illusion that a super slick top-down corporate campaign is really a spontaneous grassroots movement akin to the Civil Rights Movement and the Abolitionists. And herein the essence of a thriving oligarchy in an increasingly farcical ghost of a democracy. It is no secret that Governor Andrew Cuomo, a man of terrifying ambition, wants someday to be the president of the United States. To prove himself worthy of the limitless financial backing of the One Percent to whom he answers and in whose name he governs, Cuomo wants to prove that he can achieve two goals that no previous governor of New York, never mind one of the Democratic Party, has ever even dreamt about. By the end of his second term as Governor, Andrew Cuomo wants to leave a New York State in which the public school system has been largely or completely privatized and one in which public unions, particularly the teachers’ unions, have been all but eviscerated. In fact, if all goes Cuomo’s way, he will leave New York State well on the way to being a Right To Work state before the vast majority of people even know what hit them. To achieve these extraordinarily radical ends, Cuomo in his State of the State speech put forth a number of extraordinarily radical proposals. 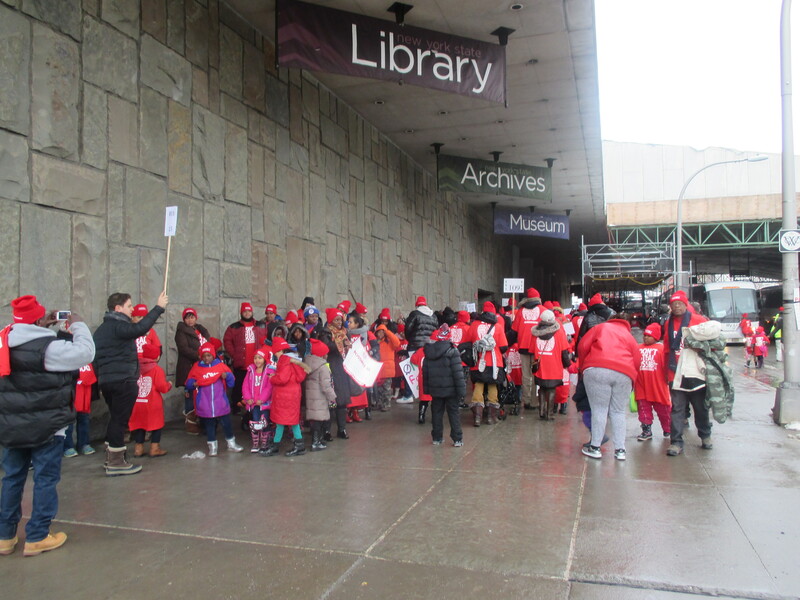 If passed into law on April 1, they will render the New York State public school system and the teaching profession that sustains it almost unrecognizable and certainly unsustainable. Collectively, once implemented, the proposals will inevitably lead to a mass firing of teachers, a mass exodus of teachers and a mass shortage of teachers, as no one in his or her right mind would enter a field in which working conditions were so degrading, evaluations so unfair and arbitrary, and job security virtually non existent. The mass bloodletting and exodus as well as the unsustainability is most certainly the point, even as Cuomo, the self-proclaimed “advocate of students, “ wants the general public to believe that he believes otherwise. Cuomo wants the public to believe that his insidious attacks and demeaning demands on teachers are necessary, while at the same time the offer of merit pay — a scheme that has been tried and has failed for over a century — will magically attract serious and qualified people to teaching. Cuomo wants to keep the vast majority of people oblivious to what he is doing and confused as to why he is doing it. 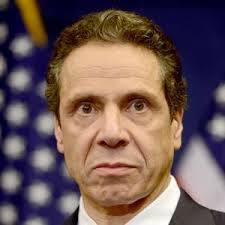 To keep people oblivious, Cuomo wants those New Yorkers who are even aware of his proposals to believe in his apocalyptic vision of a “crisis of failing schools,” which, in turn, will lead them to believe that his proposals are actually about improving public education rather than eliminating it, and then using that process of elimination to undermine the teachers union. 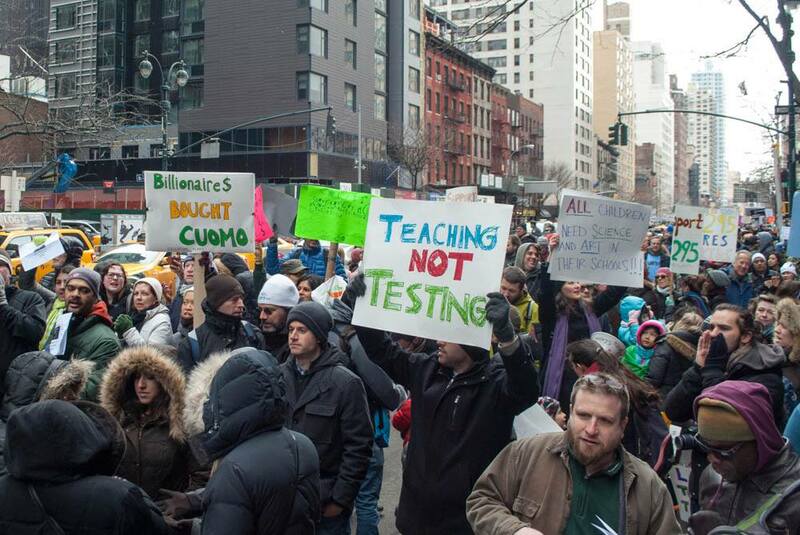 He knows that if New York State’s public school system is privatized, all bets are off and the floodgates are open. Cuomo wants to be the governor responsible for opening those gates and directing that flood into the radical reconfiguration of labor relations across the board and, at the same time, launching a full scale attack on the social contract itself. The governor wants New Yorkers to believe he cares, and cares deeply, about the welfare of children, that much the more African American and Hispanic children in poverty; therefore, he wants New Yorkers to remain in the dark about the judicial decision in the Campaign for Fiscal Equity case, in which it was decreed that New York State owes New York City schools upwards of $ 2. 5 billion, a decision Cuomo refuses to even recognize despite the fact that the state has a surplus. Moreover, Cuomo wants people to believe that, despite the neo liberal underpinnings of his politics, he, Andrew Cuomo, is somehow “progressive.” To create and sustain this illusion, he has supported gay marriage and raising the minimum wage; he has come out against fracking and will even meet with and praise certain private sector union leaders, the better to undermine labor solidarity. This Cuomo will do even as he and his proxies in billionaire created fronts like Families For Excellent Schools do everything in their power to demonize teachers and undermine the teachers’ unions. 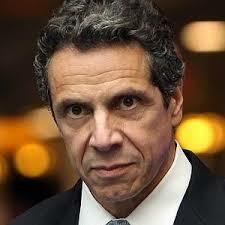 Andrew Cuomo wants to divide and conquer, and at this dark art he is very cunning and very skillful. He wants New Yorkers to see his all out attack on teachers as one that is isolated to the teaching profession and not, in fact, as an all out war on labor in the state and a prelude to the privatization of the social contract itself. Governor Andrew Cuomo is a man of terrifying ambition who wants to be the president of the United States and is willing to go to any lengths, any lengths at all, to please the radical and ruthless rich who have stolen the power to catapult him or deny him entrance to the White House. clearly the long term goal of Governor Andrew Cuomo. Please note that the principal of any public school who pulled anything remotely like such a stunt as shipping her charges hours away on a school day in the dead of winter would be fired and possibly arrested, as well he or she should be. At times today, everywhere you looked you saw kids decked out in red shirts and red caps both bearing the Familes For Excellent Schools slogan, “Don’t Steal Possible” — about as poorly a constructed sentence as you can make but… what the hell? It’s all about the kids, no ? I ‘d be curious to see the bill for the thousands of hats and shirts, the mountains of sandwiches, and the hundreds of buses for this excursion but, as with all things charter school, I rather doubt such information is easily obtainable. I have yet to see any corporate news reports of the use of these children in such a cynical manner in a struggle that they cannot possibly understand, but I am confident that all major media will find it not merely acceptable but as heartwarming as a movie by Disney. At any rate, after viewing this clip ask yourself this question: would you buy a used car or anything under heaven from Jeremiah Kittredge ? These poor charter kids can have no idea how cynically they are being used and by they time they realize the hustle it will be too late for many.